Baciate lo per me, cortesi aurette. Svelateli per me, larve d’amore. Ohim, non son pi mia ! Sar la vita mia preda di morte. Ch’io ti pongo sul crine. Questo scettro real nacque per t.
Pi bella maest, pi bel regnante ? Pi bella maest, chi vide mai ? Non v tener lo strai, che mi fer. Non vuol penar, non vuol morir cos.. In brevi accenti immensit d’ardori. Per te veglia Orontea ; mia vita, addio. Kiss him for me, courtly breezes! Antonio Cesti was an important composer of the seventeenth century Italian Baroque, particularly in the field of opera. Born Pietro Cesti, he adopted the name Antonio when he joined the Franciscan order. He had already been a choir boy in Arezzo. 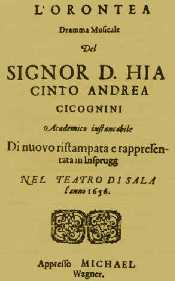 Although details of his musical training are uncertain, it seems likely he studied with Abbatini, and possibly with Carissimi and Luigi Rossi. He joined the Franciscans in Volterra in 1637, was elected organist of the Cathedral there in 1643, and in 1645 was confirmed as master of music of the Volterra seminary and of the Cathedral. The powerful Medici family became his patrons. Through them, he became acquainted with a literary group called the Accademia dei Percossi, who wrote texts for his cantatas and, eventually, opera libretti. It has been assumed that his first successful opera was Orontea, produced in Venice in 1649. However, evidence suggests this opera may have been written in 1656 for Innsbruck. Whatever the case, Cesti built an increasingly successful career as a secular composer and singer. He was reappointed at the cathedral in July 1649, but there were clearly conflicts between his vocation and his increasing material success outside the Church, which led to a love affair with the married singer Anna Maria Sardelli. 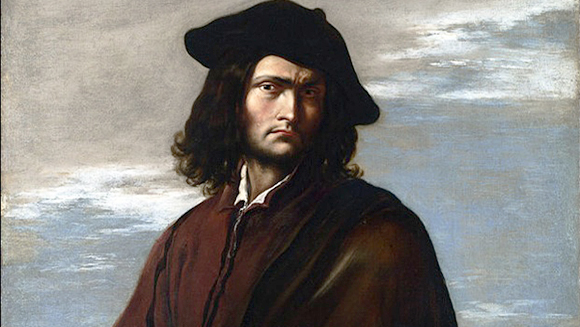 Salvator Rosa, one of the members of the Percossi, wrote of it, “it is ever thus with anyone who would behave as though he were neither friar nor layman.” In October the Superior-General of the Franciscans rebuked his monastery for permitting Cesti’s “dishonorable and irregular life.” Undeterred, Cesti wrote two more popular operas for Venice, Il Cesare amante, and Alessandro vincitor di se stesso, in 1651 and 1652. Cesti left the monastery in 1652 to accept a position at the court of Archduke Ferdinand Karl in Innsbruck, Austria. Although he made some trips back to Italy (primarily to recruit singers) he remained in that position through 1657. He then moved to Rome, evidently with the ulterior purpose of ingratiating himself with the Pope so he could be released from his vows. Cesti, a fine tenor who often took leading roles in his own and others’ operas, sang for the Pontiff four times, was released from his vows in March 1659, in the understanding he would remain a secular priest, and that year joined the Papal Choir. In 1661 the Pope granted him leave for a temporary trip to Florence in connection with the wedding festivities of Duke Cosimo III of Medici and the French Princess Marguerite Louise d’Orléans. From there, he went straight back to Innsbruck and Ferdinand Karl, while the angered Pope threatened to excommunicate him. Cesti went on with continued success in opera and was even rewarded by the Archduke with an abbotship. When a new Duke inherited in 1665, Cesti moved with him to Vienna, affording him even greater scope for his operas. He died in 1669, and some sources indicate that his death was rather sudden, suggesting he may have been poisoned. Cesti was the most famous musician of his time both as a singer and a composer. His most important contributions were to be developed in the genres of opera and cantata. He served in a number of different stations that included the Franciscan order, Arezzo, Volterra, S Croce, Venice, Vienna, Rome, Innsbruck and in the court of the Medicis. Cesti’s early music was unfortunately jaded by the bastion-like retreat taken by artists following the experimentation and innovations of Montverdi, et al. Melodies, harmonies and rhythms were, for the most part, stifled with occasional spirited reflections in meter. Cesti’s larger works were not as tightly constructed and reserved chromaticism for the expression of feelings and textual painting. As he developed his operatic techniques, Cesti’s music became less restricted and more diversified in melodic potentials and an implementation of diatonic harmonies and cadences. “Il pomo d’oro” was the most formidable and best example of Baroque opera. Cesti lends to this composition a larger retinue and a score in which soloists could demonstrate their needed skills. Throughout the 17th century his operas were widely performed in Italy and elsewhere. His most sumptuous opera, Il pomo d’oro (1667 The Golden Apple); his masterpiece, Dori (1661); and his most popular opera, Orontea, appear in modern editions. He is said to have written about 100 operas, but only 15 are extant. Christ Church, Oxford, Eng., possesses an important manuscript collection of 18 secular and three sacred cantatas. Numerous other cantatas are preserved elsewhere. His cantatas and his religious plays show the influence of the more conservative, contrapuntal Roman school; his operas, that of the more progressive Venetian school. But the solemn and lyrical vocal lines of his cantatas reflect the bel canto style that he helped introduce from the cantata into the opera. In this, in his harmonic language, and in his emphasis on the singer and the aria, as against text and recitative, he foreshadowed operatic developments of the 18th century. Philosophy (viola) boasts prefer solitude, poverty and hate love. Love (soprano) takes offense, and tries to convince her that love leads men. Philosophy has all the answers. Love from posting to Egypt to overcome Creon. Philosophy defies, betting that it will fail. (1) Orontea, Queen of Egypt (mezzo-soprano) maintains his refusal to yield to love and his desire to remain free. (2) Creon, philosopher of the court (bass), makes it argued that as a queen, she must take a husband. Orontea continued refusal. (3) Orontea Tibrino falls on a young page (soprano), who has just put to flight a robber who attacked and injured a young man. (4) The latter, Alidoro (high-cons), approaches, supported by his mother Aristea (tenor). Questioned by Orontea, he tells his assailant was sent by Arnea princess, the daughter of the king of Phoenicia. Orontea the fact lead to the palace for treatment. (5) Orontea, left alone, is troubled by the feeling of love she feels for her unborn Alidoro. (6) Gelone, loving servant of the drink (baritone) sings his love of good wine. (7) For his part, Corindo young courtier (high-cons) sings the pleasures of love. (8) Silandra young lady of the court (soprano), loving Corindo, occurs. The two exchanged words of love and silence are Gelone. The arrival of the Queen made ​​the retreat. (9) Orontea reassures Alidoro: his injuries are not serious. She interrogates and Alidoro says he was a painter at the court of Sidonio king of Phoenicia, but had to flee because the king’s daughter fell in love with him, and that it wanted to revenge. Orontea assure its protection, but trouble and withdraws. (10) Alidoro fears her misfortunes continue and implore the gods. (11) Silandra Alidoro and immediately falls in love encounter. She confesses her feelings Alidoro who declares flattered. (12) Gelone drunken delirium, believing himself on a sinking ship. (13) Tibrino picks Gelone on the part of the Queen, but it continues to be delirious. (1) Orontea realizes she is madly in love with Alidoro. (2) Silandra comes to announce the visit of a stranger. (3) This is Giacinta, a former servant of the court, dressed as a man (soprano), who tells him she was abducted by the King of Cyrene, have been entrusted to Evandro who is in love with her, then s be made ​​under a coat and warrior by the name of Ismero Phoenicia. There she came in the privacy of the queen Arnea who asked him to kill Alidoro painter, she could only hurt her. Orontea, mad with rage, ready to hit Giacinta. (4) It is saved by the arrival of Creon. It criticizes Orontea to take to justice itself within the scope of his feelings. (5) At the insistence of Creon, Orontea finally admits she likes Alidoro. (6) Aristea, meanwhile, feels to be in love with Ismero. The indicator happen, she decided to try his luck. 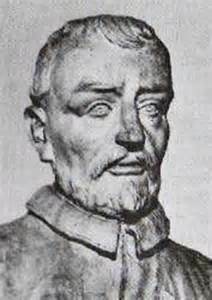 (7) Ismero rejects the advances of Aristea. (8) Silandra renounced Corindo and calls Alidoro. (9) It is Corindo happens, just love, but Silandra announces that she no longer loves and returns it. (10) Corindo laments female fickleness. (11) is Alidoro make painting materials by Tibrino. (12) Silandra has to be painted. Tibrino philosopher on women. Silandra Alidoro and exchange words of love. (13) They are interrupted by Orontea who heard them. In fury, it forbids them to see and threat. (14) Alidoro does not know where he is and fainted. (15) Gelone, out of his drunkenness, falls on the body of Alidoro and used it to search it. (16) is interrupted by Orontea who hunt. (17) Orontea, full of love, watch over Alidoro. She asks him the royal scepter on the head to make him understand that she wants for her husband. (18) Alidoro wakes up, finds the scepter and a ticket, by which Orontea her that she chose for her husband. He decides to give up Silandra and accept his new destiny. (1) Silandra laments the royal order. Seeing Alidoro happen, she rushes to him anyway. (2) It takes high, is already taking for the king. (3) Tibrino Gelone and report the disturbance caused by the behavior of the queen. Tibrino finds reason to distrust love: he prefers weapons. Gelone replied that Bacchus is his god. (4) Creon just blame the Queen to offer the crown to a vagabond painter. Orontea defends and finally agreed to drive Alidoro to appease the court. (5) Alidoro happens. Orontea manages to show him the compromise bill, seized it and torn. Then she asks Alidoro to leave the court, and withdrew. Alidoro, alone, does not know where he is and decides to take comfort from Silandra. (6) This, in turn, the regrowth. Alidoro laments female fickleness. (7) Gelone was charged by Silandra to deliver a letter to Corindo to revive him. Corindo occurs. (8) Gelone asks him to forgive Silandra, and presented him with his letter. Corindo replies that he wants to forgive good, but not as qu’Alidoro be alive. Gelone promises to kill him with his own hands. (9) Tibrino arrives and takes the defense of Alidoro. Gelone tries to clear himself, and, under threat, says the situation. Tibrino Gelone threat that is rushing to drink. (10) Giacinta, tormented, dare confess his love for Alidoro. Aristea offers to console him, even to pay it. Giacinta accepts a precious medal against the promise of a kiss. Aristea consoles to be obliged to pay for the pleasure. (11) Tibrino Corindo brings a note addressed to him and he found the queen. For this post, Alidoro defies Corindo in single combat. (12) Alidoro forgive Giacinta, always dressed in Ismero the injured acoir. Ismero offers him the medal Aristea explaining how he got it. Alidoro thank and Ismero there is reason for hope. (13) Alidoro laments the behavior of his mother. He has in hand the medallion and Gelone recognizes the royal seal. (14) Corindo Orontea informed that he can not fight against Alidoro because of its top condition. Orontea decides to Alidoro knight. (16) Silandra reveals qu’Alidoro is in possession of the royal medallion. (17) What Gelone confirmed. (18) Tibrino announces the arrival of Alidoro, flanked by soldiers. Orontea does recognize the royal medallion. Alidoro says he got to Ismero. (19) What it confirms, indicating that it is a present of Aristea. (20) is brought Aristea and interrogated by Orontea. She says the medallion comes from her husband Ipparco, privateer. He was hanging on the neck of a child abducted by Ipparco during a fight on the Red Sea. This child, she raised as a son, is none other qu’Alidoro. Creon then makes the connection with the son of Queen Irene, wife of the King of Phoenicia Sidonio, born during a stay in Paphos. He had asked the king of Paphos Ptolemy to see his son before he died, and the child was sent with his nurse on a felucca army, which had been attacked by a privateer. He also recalled that Ptolemy had engraved three medals, one for Creon, a slipped in swaddling clothes of the child, and for him. Aristea indicates that the nurse was called Selvaggia killed. Creon reveals that it is clear qu’Alidoro is none other than the brother of Arnea, Floridan, the son of the King of Phoenicia. Orontea, joyful, can again choose it as spouses. It also gives Silandra to Corindo. The Around My Idol Pieces wishes to augment unto the casual and close observer…the minute window into the world that is opera. Opera is not what it seems on the surface to most. As many things…it is a highly misunderstood form of art in the musical realm. It not only bridges a great divide between music and the written word, but the complex emotional scales between humans and this colloquy of sorts. It intensifies the subtle nuances from word to meaning and the music…it acts as a sort of catalyst and almost binding agent to brings these into form and in sync. It is the hope that after this introduction into selected operas, the beholder whilst in contemplation…may gather a greater sense of the genius behind such powerful acts of the olden stage…beholden to the auteur whose mind and hands created these gifts of wisdom, from deeper sentiment, from abyssal soul.